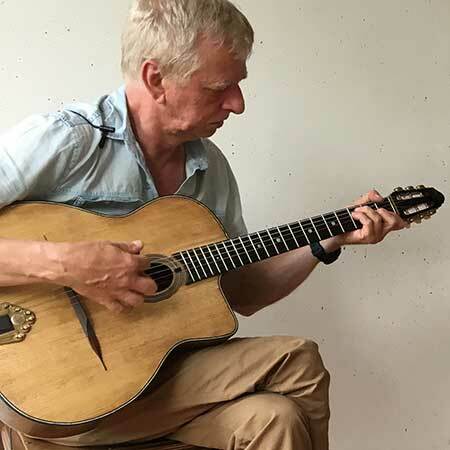 Rino van Hooijdonk is a Dutch guitarist who plays in the style of Django Reinhardt. He learned to play in gypsy campsites in Holland, including a period when he played in a band with Stochelo Rosenberg and Nous'che Rosenberg as a teenager. Rino is a respected guitarist in the international Django-style scene, and his playing is truer to Django’s sound than most. Rather than playing in the so-called “Dutch style” of gypsy jazz, full of diminished arpeggios, Rino echoes Django’s classic sound.